What drove the change in brand? In November 2014, Breakthrough Breast Cancer and Breast Cancer Campaign decided to merge. 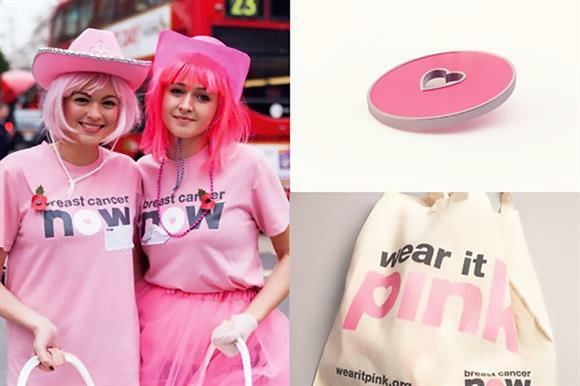 It was clear to both organisations that creating one powerful brand was essential to their shared ambition: to stop women dying of breast cancer. The new branding needed to lead the national conversation about breast cancer, keeping it at the top of the agenda, and build on the legacy of both charities to promote research about the disease. What did the change involve? To do this, it conducted more than 50 face-to-face interviews with stakeholders, including employees, scientists, trustees and women living with breast cancer, and surveyed 2,400 supporters. The result was a new name, with its rousing call to action, a more marketable colour palette and a new logo, and a new tone of voice that moved away from talk of "battles" and "struggles" to echo the language of blogs: togetherness and progress. The two charities merged in June 2015. A year later, supporter numbers had doubled, social media figures had increased significantly and the charity had attracted new corporate partners, including Marks & Spencer and the newspaper Metro. Every mainstream political party got behind the charity’s 2050 Challenge campaign, which is seeking to ensure that by the year 2050 no one who gets breast cancer will die. Two hundred MPs in England and 18 Welsh assembly members pledged to be Breast Cancer Now ambassadors. Sean Kinmont, founding partner, creative at the communications agency 23Red, said: "This is a lovely identity – on the money in terms of personality, empathy and standout."